Are you a DRS client? Are you 16 and in High School next year? 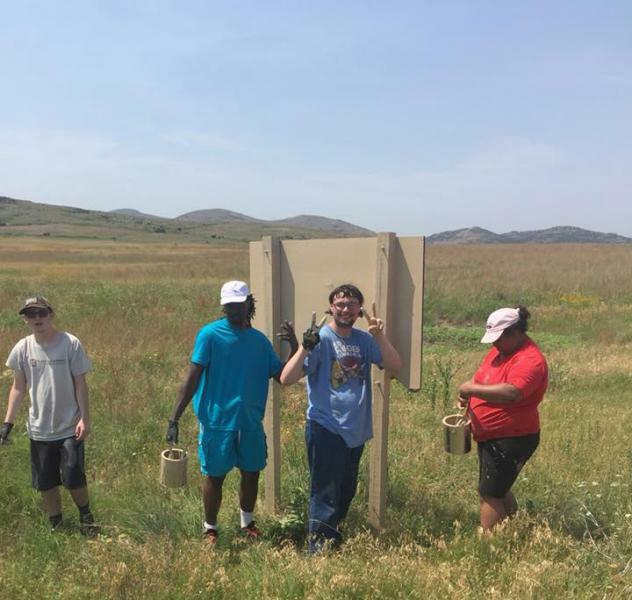 Join WOW (Working on the Wichita Mountains)!!! CAMP OUTDOORS AND EARN MONEY WHILE GAINING WORK SKILLS AND EXPERIENCE. For more information contact Brandi Hurley bhurley@okdrs.gov, 580-233-0244 or Tabitha Pogi tpogi@okdrs.gov, 580-585-4201. Gain summer work experience and improve your employment readiness! Are you 16 years old, a client of DRS, and returning to high school in August 2018? Are you interested in gaining work skills this summer while learning from instructors and working in your community? The Oklahoma Department of Rehabilitation Services (DRS) invites its Transition clients to participate in the summer work experience. Vocational counseling and guidance: through direct contact, the DRS counselor assists teachers, parents and students in developing appropriate career goals. 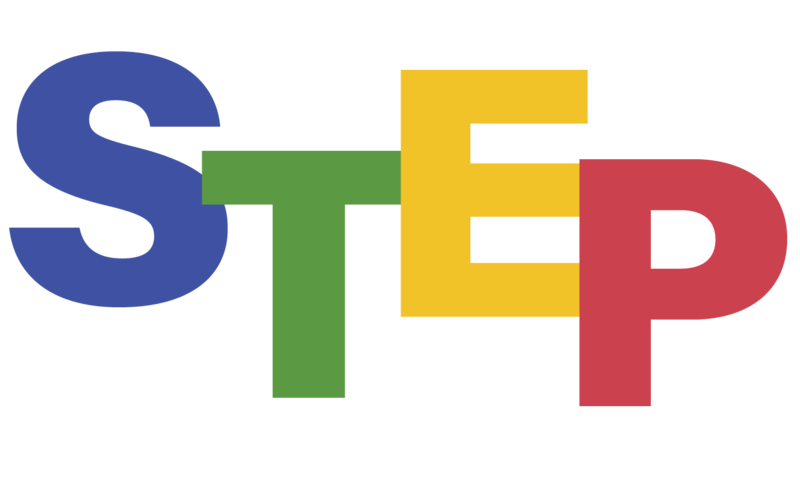 School Work Study (SWS): arranged through contracts with the schools, provides job readiness skills training through work experience at the school district or in the community, while earning a minimum wage and high school credits. Work Adjustment Training (WAT): is provided through contracts with the schools or from community-based facilities, and provides students with foundational employment skills to help them prepare for competitive, integrated employment after high school. On-the-Job Training (OJT): provides students the opportunity (during the second semester of their senior year) to obtain community employment in their career of choice with permanent employment as a goal. Supported Employment (SE): helps students (with the most significant disabilities) in their senior year transition into permanent employment with supports from a job coach to search for employment, apply, prepare for the interview, learn the job, and work toward independence on the job. Job Development and Placement specialists help students make job searches more successful by helping them take their interests and strengths and identifying possible businesses with job openings, receive and complete the job application, and prepare for the interview. The specialists will work with the DRS counselor on this process. 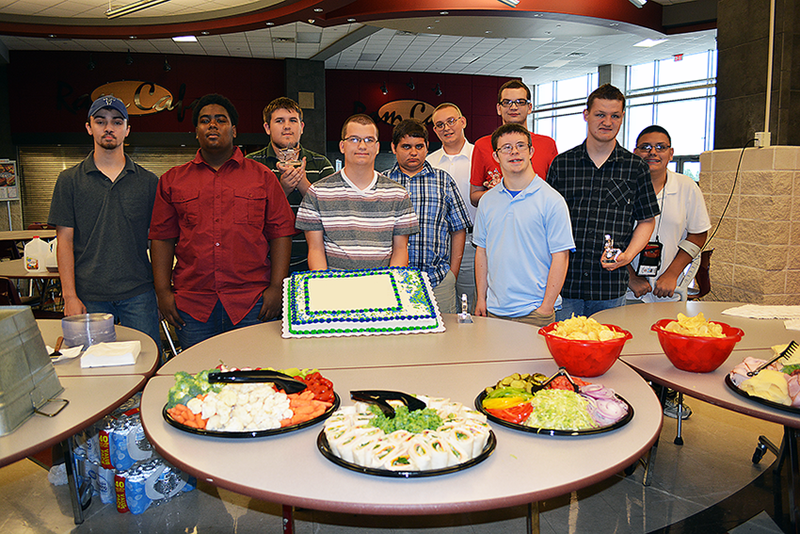 After graduation, DRS counselors and students continue to work toward vocational and employment goals. Some services are available to all eligible individuals without charge. At this point, individuals may be asked to share the cost of some services, depending on income and financial resources. To find the DRS office that serves your high school, follow this link. In partnership with the Department of Career and Technology Education, and other key stakeholders from across state agencies, schools, families, businesses, and other groups, DRS chairs the Oklahoma Transition Council which focuses on improving transition planning, services, and post-school outcomes for young adults with disabilities. The council hosts an annual Oklahoma Transition Institute (OTI), where regional transition teams from across the state come together to learn about innovative practices and programs and to develop a plan for how to improve transition in their local areas. Teams are comprised of DRS counselors, school personnel, other state agencies, family members, community service providers, higher education, and other stakeholders with a vested interest in the transition of youth with disabilities. The Council has patterned its work after a model implemented in New Mexico using the Taxonomy for Transition Programming. 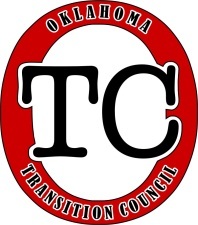 To learn more about the council, OTI, or how to join a local transition team in your area, contact the transition coordinator, by phone at 405.635.2768, or e-mail. Be sure to visit the OTC Facebook page for upcoming events and important information. You can also access information about the OTC, presentations from previous Institutes (OTI), team plans, and a host of other resources relevant to secondary transition for youth with disabilities by visiting the University of Oklahoma Zarrow Center for Learning Enrichment. 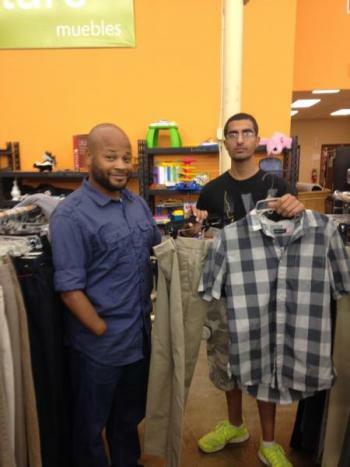 DRS' Transition: School-to-Work program works in collaboration with partners to offer a program dedicated to providing education and employment preparation opportunities for individuals with significant disabilities. Project SEARCH originated with the Cincinnati Children's Hospital and is a one-year, worksite-based school-to-work program. Participants complete between three and four rotations of 10 weeks each on various jobs within a host employment setting. DRS has five programs at this time—three young adult programs in Oklahoma City, one young adult program in Yukon, and one high school transition program for seniors in Enid. The programs include the following partners. The mission of this program is to maximize the potential of people with disabilities through competitive employment in non-traditional jobs or traditional jobs in non-traditional settings. DRS provides individualized vocational guidance and funding for job coaches, training, technical assistance and project management through a contract with the OU-NCDET. For more information about Project SEARCH™, contact the DRS transition coordinator, by phone at 405-635-2768, or e-mail. Be sure to visit the Oklahoma Project SEARCH Facebook page for upcoming events and important information. The Oklahoma Transition Council (OTC) developed a timeline of transition activities to help families, schools, and other partners begin working with children and youth to develop skills, access resources, and make strides toward preparing for life after high school. You can access the timeline by visiting the University of Oklahoma Zarrow Center for Learning Enrichment, Timeline of Transition Activities. Step 4: Gather as much medical information as you can (including a copy of the most current Individualized Education Program (IEP) from the school, if you have one available). Copy of documentation verifying the disabling condition(s), copy of academic transcript(s), (most current Individualized Education Program (IEP) from the school), Social Security card, picture ID, immigration status documentation if not a US citizen, medical insurance verification, if available.